Alex hails from New Haven, Connecticut and earned his certification as a personal trainer from the American College of Sports Medicine. Hooked on fitness ever since, Alex has experienced all of the high points of exercise, including increased strength, a trim waist, better metabolism, good nutrition, and overall health. But he also fell into some of the traps, including over-training, diet and supplement fads, injury, and plateaus. 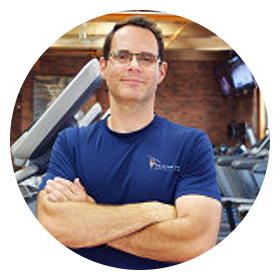 As a trainer, Alex draws on past experience to keep his client’s workouts diverse, safe, challenging, and efficient. Alex lives with his family in South Boston and has been working at the BHAC since 2012.